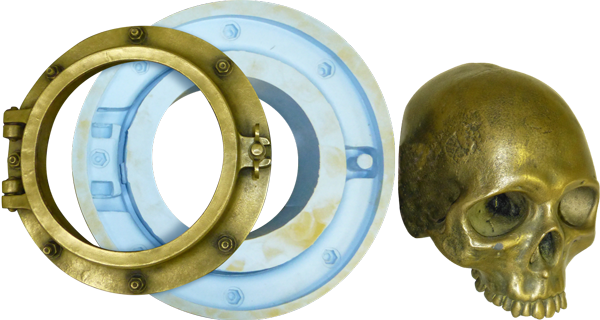 Metal Powder, For Real Metal Cold Castings | Smooth-On, Inc.
"Cold-Casting" is a term used to describe the process of mixing metal powder with a resin and applying the mixture into a mold. 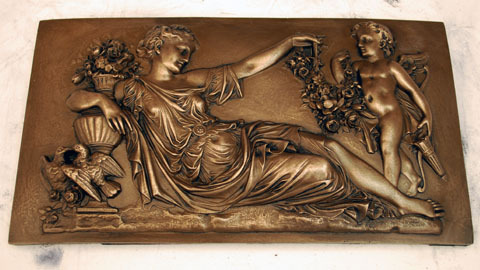 The finished casting gives the appearance and weight of solid metal. The metal cold-cast process is faster and much less expensive when compared with foundry casting of molten metal. Metal powder is mixed into Colormatch® resin until the mixture is thick and creamy. The mixture is then "slush-cast" or brushed onto the mold surface until the resin cures. The gel coat is then back-filled with straight resin, resin mixed with metal powder, resin mixed with steel weights or Foam‑iT!® rigid foam. The mesh size of this aluminum powder is -200 vs. the -300 mesh for the other metal powders and gives a better cold cast effect compared with other mesh size powders that we tested. 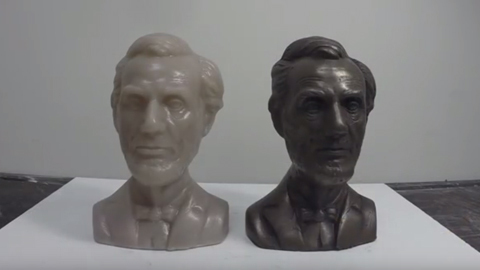 Polished castings are brighter vs. castings made using nickel/silver powder, which has more of an antique metal look. Perfect for producing castings with antique brass finishes. Polish the surface to bring out the shine of the metal powder. Afterwards, apply shoe polish to add depth and character to your pieces. 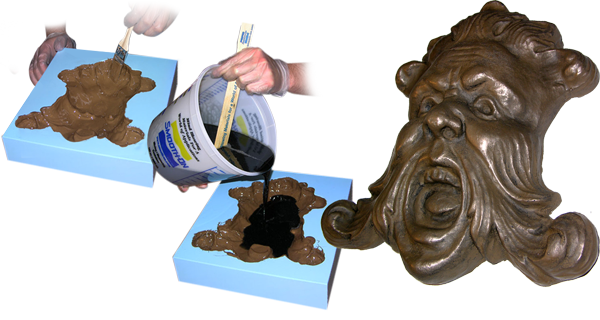 Polish your castings to produce a realistic cast bronze piece. 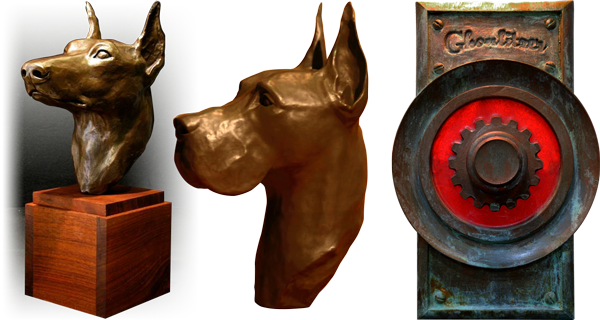 Allow the metal in your castings to achieve a natural patina or accelerate the process with patina solutions. 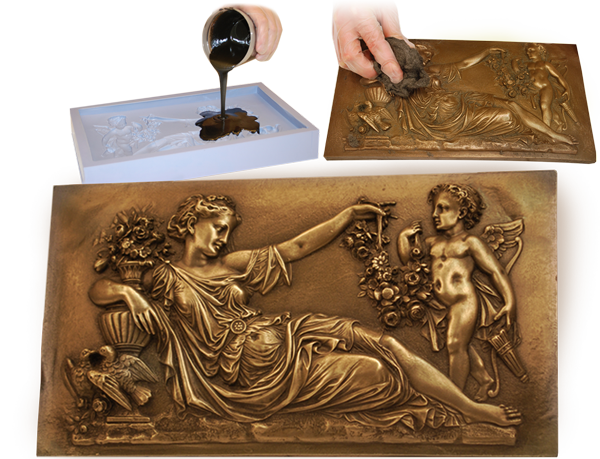 With copper powder you can give your castings a bright, modern copper appearance great for low relief wall art. Burnish with black shoe polish and apply chemical patina for a stunning rustic look. 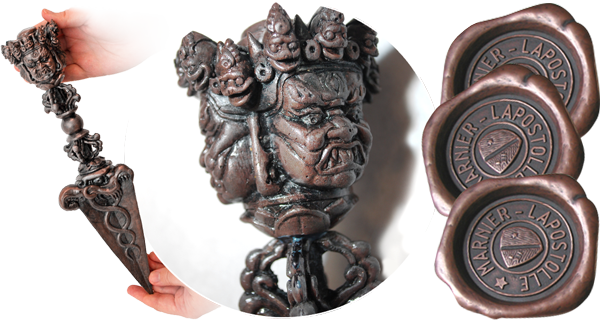 Castings made using nickel/silver powder can be polished to produce more of an antique metal look compared to the aluminum metal powder. 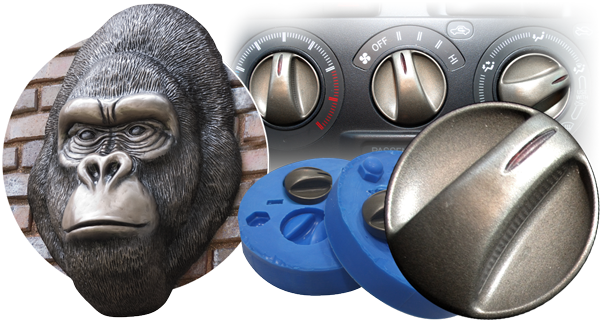 When mixed with SmoothCast® ONYX plastic castings will have better heat resistance for applications where temperatures may exceed 200°F. Use Smooth-Cast™ 325 resin and Bronze powder to make a nautical looking aquarium stand. 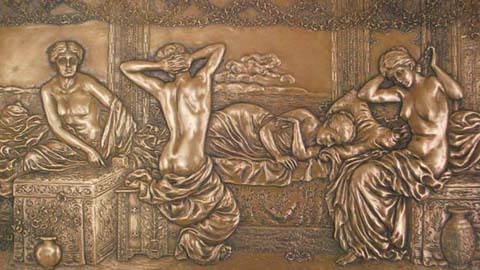 Creating metal cold cast panels using Smooth Cast ONYX liquid plastic and bronze powder. 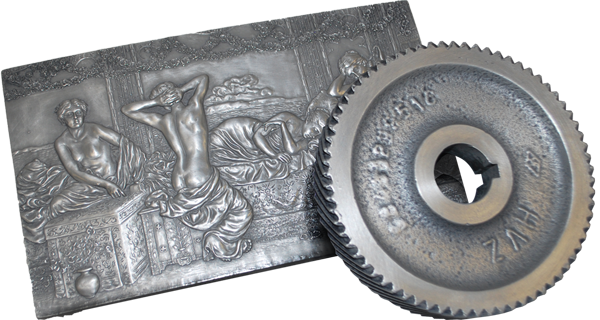 The metal cold-casting process is faster and much less expensive compared with foundry casting of molten metal. 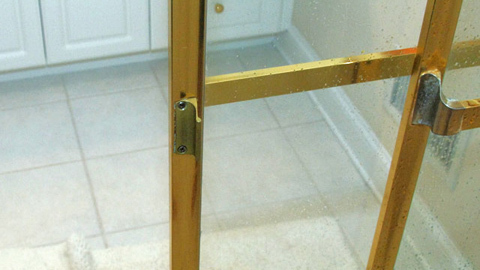 A "Cold Cast Brass" handle is molded and cast for a fraction of the cost of replacement. What Have Other People Done With These Products?